Cirque du Soleil is currently working on a new show that will "pay homage to Disney’s rich history of animation." The opening night for the new show hasn't been is yet to be announced. Tax is not included in the prices listed below. 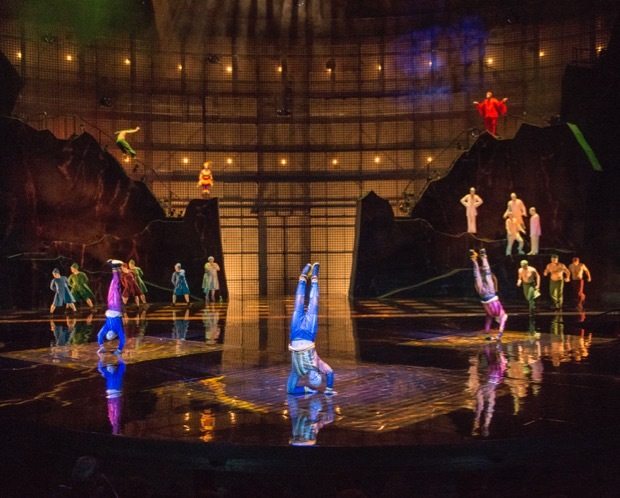 Cirque du Soleil is a theatrical performance unlike anything you have experienced before. Cirque du Soleil was conceived by a group of street performers in Baie-Saint-Paul, Quebec. With a desire to inspire, astound and transport patrons to a new, unearthly world, the early eighties marked the beginning of this novel venue. 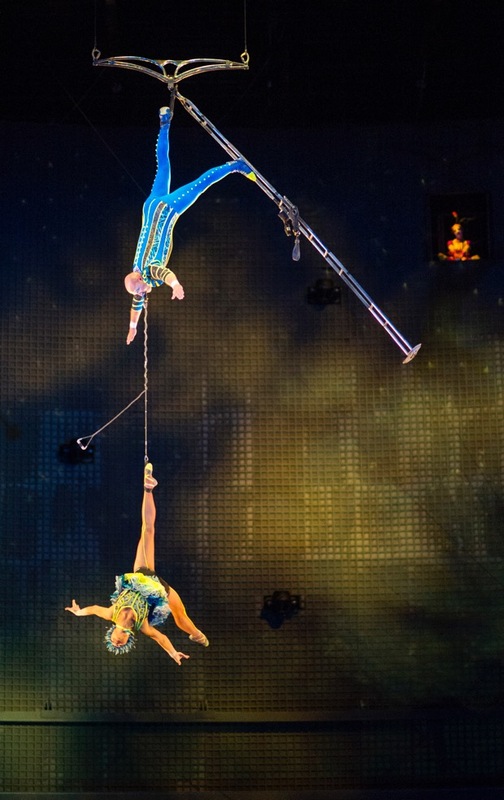 This vision of the original Cirque troupe has grown precipitously and Cirque du Soleil now has 7 different shows in production, 3 of which have permanent homes with the rest touring throughout the world. Cirque du Soleil is not a traditional circus as the name implies. At Cirque du Soleil, you will not find any animals in the cast. Unlike other circuses, there are no dancing bears, lions leaping through hoops or elephants doing tricks. Rather, Cirque du Soleil is a completely immersive combination of circus and theatrical presentation combining elements of modern dance, staging, humor and acrobatic stunts. Dispersed throughout the show are acts of hilarity, peculiarity, inspiration, excitement and amazement. The experience of a Cirque du Soleil show always ends with you wondering how it was possible for time to move so fast from the intriguing, attention grabbing pre-show, to the final standing ovation. The creativity of this highly sophisticated show abounds and enthralls. The costumes are wonderfully exotic, the sets unusual, the action of the brilliant choreography non-stop, and the original music and dramatic lighting is capturing to say the least. 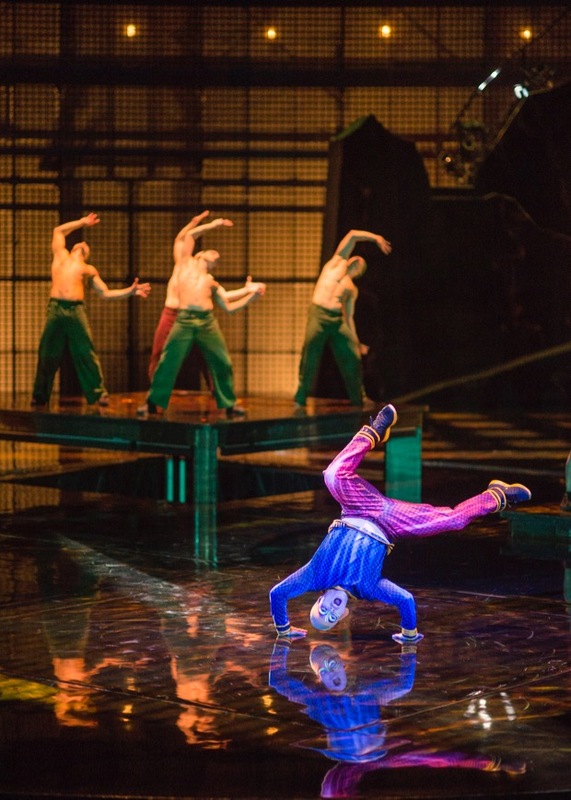 It is simply not possible to describe what exactly Cirque du Soleil is with words. You have to experience it to truly understand it. Performances are held Tuesday through Saturday at 6:00 p.m. and 9:00 p.m. There are no performances on Sundays and Mondays. Box office is open Tuesday-Saturday 11:00am-11:00pm and Sunday, Monday and no-show dates 11:00am-9:00pm. There are no performances on Sundays or Mondays, with the exception of December 25. You must enter the theatre at least 10 minutes prior to show time, or risk having your seats resold to someone else. You can not get your money back, but you can exchange your tickets for another date. We recommend arriving 1 hour early as the Cirque du Soleil experience begins before the "official" show time. This will also allow time for the bathroom and picking up refreshments. If you order tickets from Cirque du Soleil 10 days or more in advance, they will be mailed to you and a shipping charge for registered mail will apply. If tickets are ordered 8 days or less in advance, they can be picked up at the Will Call Window at the theatre box office. Box office is open Tuesday-Saturday 11:00am-11:00pm and Sunday, Monday and no-show dates 11:00am-9:00pm. La Nouba is a popular show and it is not unusual for shows to completely sell-out. If you decide to watch the show on the "spur of the moment", check the box office at the theatre as they may have a few seats left over (or maybe some "no show" seats). 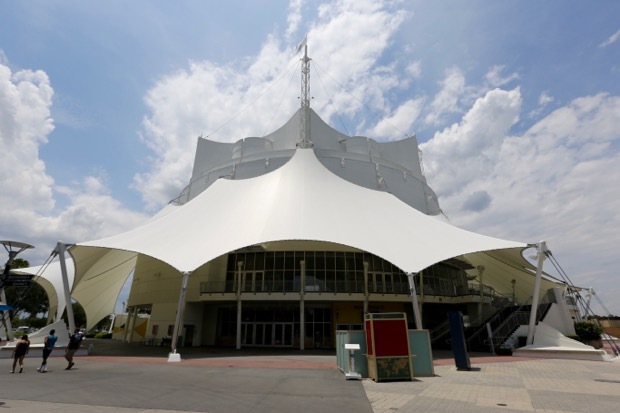 The Cirque du Soleil theatre is located at Disney Springs West Side. Disney Bus Transportation is provided for Disney resort guests to the West Side. Valet and regular car parking closest to the theatre is the West Side lot. Taxi service is also available to the theatre. The theatre has seating for 1,671 guests and not one of those seats is a bad one. The staging of La Nouba permits a great view from any vantage point in the theatre. 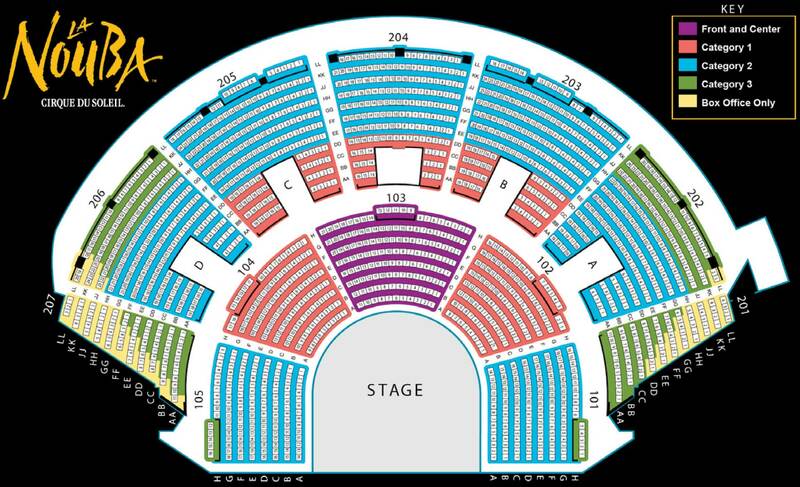 CLICK HERE to see the theatre seating map. There is a snack bar inside the theatre as well as a gift shop. Another merchandise shop selling items from all Cirque du Soleil productions is open to the general public on the main floor of the theatre, adjacent to the box office. Cirque du Soleil was founded in Quebec, Canada in 1984.